This is historical period-discrimination!! You can’t make ALL Tang dynasty dramas have big heads!! 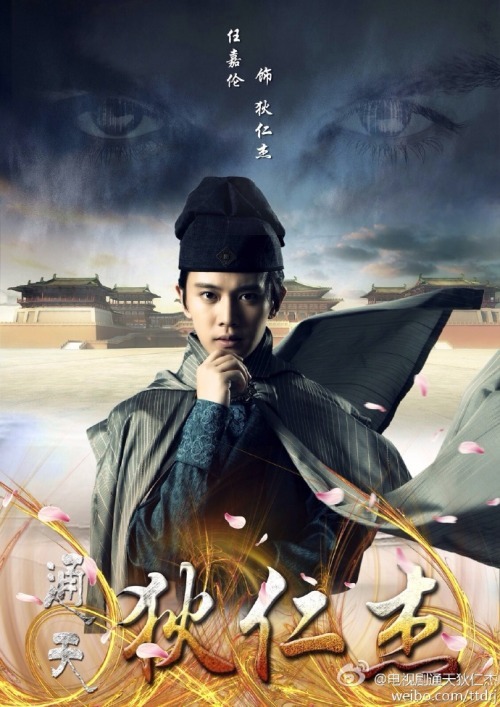 Legendary Di Renjie, starring Ren Jialun, Kan Qingzi, Andy Chen Yi, Jiao Junyan, and Theresa Fu. has released another trailer because one is not enough. Watch and let me know how many props from other dramas you can spot. So far, I am seeing some pieces from Ruby Lin’s own Young Detective Dee and even a piece from The Empress of China. What else can you spot? Ummm… are you sure those eyes are yours? You guessed it! We’re in for another Di Renjie drama!! At two movies and now two dramas, he’s really raking in the popularity recently. Legendary Di Renjie stars Ren Jialun, Kan Qingzi, Jiao Junyan, Andy Chen, Theresa Fu, etc.